What a disaster the Jets have become. Losers of 7 straight, they now must go to Arrowhead to take on the Chiefs. It’s pretty clear by now that Rex Ryan just isn’t cut out to be a head coach in the NFL. He and his brother are decent assistants, but it’s time for some major changes in New York. Geno Smith threw for a total of 5 yards and was picked off 3 times before being benched in favor of Michael Vick last week. I don’t know that we’ve ever seen a performance that horrific, and the bad news is that Vick didn’t play much better. Vick ran for 153 yards with an interception and lost 2 fumbles after replacing Smith. Giving away the ball like that won’t win you any games, especially against a solid Chiefs stop unit, known for forcing turnovers. So Vick’s now the starter and his first start comes against the coach that knows him best, Andy Reid. 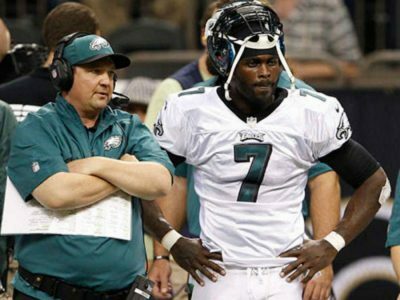 Vick played for Reid in Philadelphia, so Reid will know exactly what to do in terms of defending him. It won’t be very difficult, because Vick is pretty much washed up at this point in his career. He’s lost most of his athleticism and remains injury prone. The Chiefs, meanwhile, have won 2 straight and 4 of 5. This defense is #1 in the NFL against the pass, allowing only 195.7 passing ypg. They also rank 3rd overall in points allowed at just 18.3. This anemic Jets offense against a Chiefs D that is one of the best in league spells out an easy win for us. Take the Chiefs. I’m on an AMAZING RUN in all sports right now, going 14-3 in my last 17 and a PHENOMINAL 26-8 through my last 34 games. That’s 76% WINNERS. I have lots of great packages for you to chose from, or get on board with a weekly or monthly package for CHEAP. Lets make some MONEY!